Taking your dog to the vet can lead to a situation that is potentially worse than when you have to convince your child to go to the dentist. Your pet might start feeling anxious from the moment you get him into the car. Here’s how you can give the poor guy a little break and make life easier for him. Some cats and dogs only travel in the car when there’s a vet visit, so Fluffy or Mr. Whiskers might suspect that something is up as soon as you tell him to “hop in”. To prevent this, make the car ride a fun place, a happy time. Start by taking your pet to fun places, such as for a walk, to the beach, or a store. If you are not satisfied with your vet, you can always find a new one. If your pet simply hates all the vets, go for one that is at least gentle and ready to work with your frightened pet. Just because you have a vet who has been serving your family or other pets for a long time doesn’t imply only he is fit for your particular pet. Visit your vet’s office when nothing is wrong. Call your vet prior to the visit and ask if you can drop by just to say hi or weigh your pet. Most vets will be happy to help you here. 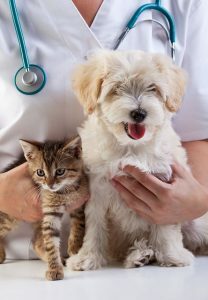 If you own more than one pet, take them both to the vet together, even if one of them needs a checkup. What this does is relax your pet and familiarizes them with the environment and the people there. If Your Pet Gets Anxious In The Car, Blare Up Some Nice Tunes. Over the counter drugs, calming drugs, especially those that contain chamomile, Tryptophan, and brewer’s yeast, is a great option for dogs. You can also invest in medications, which are great for dogs and can be easily found in many pet stores. You can also check out Amazon or your vet’s office. Another thing you can try for dogs is a calming spray or a collar that contains Dog Appeasing Pheromones, such as an Adaptil collar, which brings a calming effect. Bring all the good stuff that your pet loves to the vet’s office, such as chewy treats, spray cheese, frozen fruits, and your pet’s favorite toys. 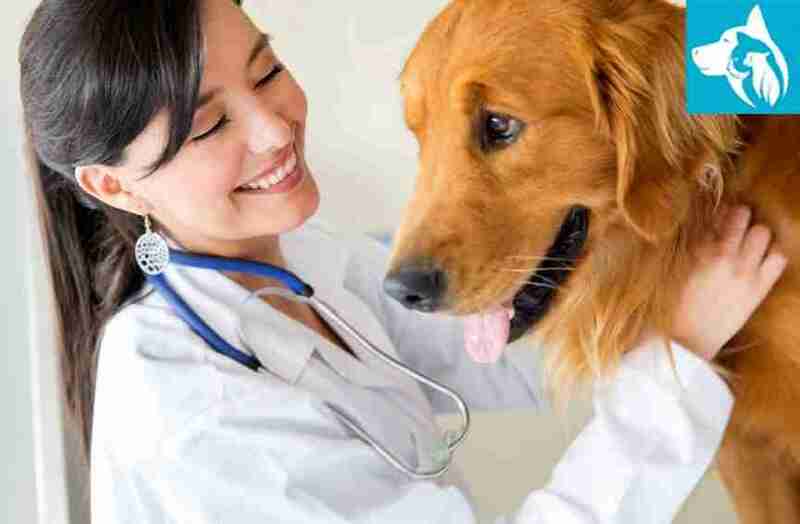 Remember, you need to make the vet’s office a happy place that is full of treats and surprises. This will all help your dog smile. It becomes less stressful for a pet dog if you ask him to do something rather than forcefully putting him on the scale or making him turn around. Some of the easy cues you can teach your dog include “target/ touch, “sit”, “watch me” and “down”. This will take your pet’s mind off the anxiety of being in the vet’s office if you have some quick tricks or skills that you can “practice” with him while you wait. Remember that pets easily pick up their owners’ energy. This means that if you are feeling anxious, your pet will become anxious too. Try to keep your cool and practice deep breathing before you enter the office. Talk in a calm and confident voice. Tell your pet one or two times that “it’s okay”, but don’t repeat it over and over again as your pet will start thinking something is actually wrong. The things that are good for your dog should be taken care of.I agree with your post. Thanks for sharing your post.